For many, it’s an annual tradition: Looking back at the celebrities that died this year. We read the year-end lists of famous actors, musicians and other luminaries, reflecting on their lives and the impact they had on us, and often feeling sorrow for their passing. But we can also learn a lot from these prominent deaths. When country music legend Glen Campbell died in August, we learned about the challenges of Alzheimer’s on both patients and families. 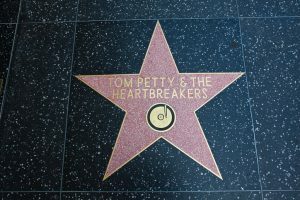 The October cardiac-arrest of rock star Tom Petty – at a seemingly healthy 66 years old – reminded us that life can end suddenly and unexpectedly. And longtime gossip-columnist Liz Smith, who died with no apparent heirs at age 94, may have gotten some people thinking: who will make decisions for me in my final days? While no one knows the future, we all should plan as best we can – as demonstrated by the deaths of our society’s icons. So whether you’re a high-profile individual or an ordinary Jane or Joe, make sure to think about your end-of-life wishes and communicate them to your close loved ones. What kinds of medical treatment do you want or not want? Who do you want to make health care decisions for you when you can’t make them? What would bring you comfort if you were seriously ill? Do you want to donate your body or any organs upon your death? What other things do you want your loved ones to know? Ask your dearest ones about their wishes, too. Don’t be afraid to take the lead in starting these conversations with your relatives, to help ensure their choices will be fulfilled. While no one enjoys talking about death, such planning can be an invaluable gift to yourself and your family. For instance, advance planning can help ensure that you spend your final days at home – if that’s your desire – without invasive, risky procedures to keep you alive. Consider the case of music legend Chuck Berry, a celebrity that died this year at home in Missouri at age 90. Local police had attempted “lifesaving measures,” which were unsuccessful, according to a New York Times report. But did Mr. Berry want such measures, and did his caregivers know his wishes? Emergency lifesaving procedures can cause severe injuries, and are often ineffective on frail, elderly people. CPR (cardiopulmonary resuscitation), for instance, requires pressing forcefully on the chest — which can cause soreness, broken ribs or a collapsed lung. Afterward, most survivors must be on a breathing machine in the intensive care unit. Fewer than 10 percent of hospitalized patients survive and can function as they did before. “Many patients live for a short time after CPR, but still die in the hospital,” states the American Academy of Family Physicians. What is Hospice Care? Is It Right for Your Loved One? While details about Mr. Berry’s experience are not publicly available, his situation is a strong reminder of the need to think about these issues and make our preferences known. AARP – Advanced Planning Glossary: Explanations of some legal terms you may find helpful in thinking, talking about, and documenting your wishes regarding serious illness and end of life. 5 Wishes Living Will: This popular document helps people talk about and plan for care at the end of life. It meets legal requirements in 42 states, including New Jersey, and is useful in all 50 states, according to its publisher. 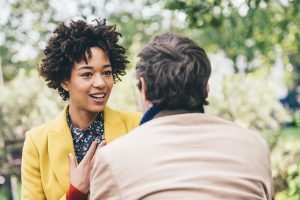 Before I Go Solutions: Tips about how to talk to someone about end of life who doesn’t want to talk about it. Mobile App by the ABA: This free smartphone app by the American Bar Association, called My Health Care Wishes, enables you to store your advance directives as a secure PDF document in your own smartphone. Or you can have your child, spouse, or healthcare proxy store the information on their phone. National Institute on Aging > Healthcare Decisions at End of Life: One of several NIA articles offering information and guidance on end-of-life care and decision-making. To find others, use the search function at the top of the webpage. Go Wish: This card game helps you find words to talk about what’s important if you or a loved one were to become terminally ill. Playing the game with your relatives or close friends can help you discover how you can best comfort them at such a time. If you have a life-limiting illness, POLST helps you collaborate with your doctor to identify and document goals of care and preferences for treatment. 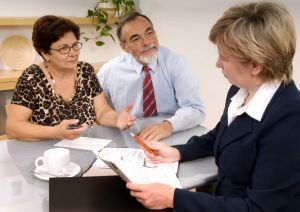 POLST complements but does not replace your advance directive. The new emPOLST uses electronic mobile technology. When thinking about your future preferences – or if you or a loved one are currently living with a serious illness – consider the comforts of palliative care and another celebrity death this year, Sam Shepard. Palliative care focuses on relieving discomfort and enhancing quality of life, for both patient and family, rather than curing disease. Palliative care can be given at any stage of serious illness, and can be given alongside curative treatment. When actor and playwright Sam Shepard died in July from complications of ALS (amyotrophic lateral sclerosis), it’s likely that he received palliative care. ALS, also known as Lou Gehrig’s disease, is a neurological condition that weakens muscles and decreases physical abilities. In its final stages, patients may become unable to eat, swallow or breathe. Palliative care providers typically help ALS patients and families cope with the challenges of their disease as it progresses over time. At the end of life, they can help ensure a comfortable, peaceful and dignified death. In Mr. Shepard’s case, the 73-year-old died at his Kentucky home, surrounded by his family. Palliative care can help make such a “good death” possible. One thing that many of 2017’s celebrity deaths have in common is they took place in the person’s home. Jerry Lewis in Las Vegas… Jim Nabors in Hawaii… Della Reese and Rose Marie in California… Gregg Allman in Savannah, Georgia… the list goes on. 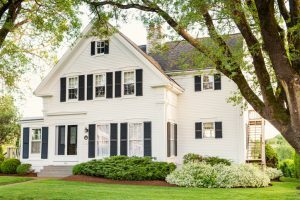 While a home death is not always possible, it’s desired by most people. Indeed, nine out of 10 Americans would prefer to receive end-of-life care in their home, when given the choice, research shows. Engaging hospice care after a terminal diagnosis helps increase the likelihood of being able to die at home, on your terms. Hospice focuses on providing the best quality of life to you and your family – based on your preferences. That extends to the moment of death and beyond, with grief support for your loved ones. Moreover, there’s no need to wait until you are a few days away from the end of life: hospice is generally available to those whose estimated lifespan is six months or less. By starting hospice early – well before a moment of crisis – you and your family will receive extensive support, including medical oversight, in-home assistance, and physical, social, emotional, and spiritual support. Medicare and private health insurance typically cover the costs of hospice care. 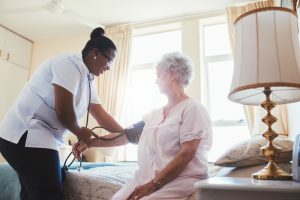 If your symptoms cannot be well-managed at home, a growing number of hospice organizations offer inpatient hospice centers – homelike facilities that provide 24-hour symptom management and support. Samaritan operates two such programs: The Samaritan Center at Voorhees and the Samaritan Center at Mount Holly. Remember, planning for the future is one of the best gifts you can give to your family and friends. It may help them avoid heart-wrenching decisions about the kinds of treatment you would or would not want, and avert potential conflict, guilt and regret within the family over your care. So take a page from many of the celebrities that died in 2017: Live your life to the fullest. But prepare for the future, too.